Taste: Rather sweet, again lots of caramel and very subtle a hint of tropical fruits. The end gets a bit more spicy. No offnotes..but not the most complex rum either. Finish: sweet and a little fruity, the rather short finish ends with a harsh throat feeling. Our score : *** Nothing wrong with this rum…just a bit harsh and rather…well…boring. But then again… price/quality ratio this Diplomatico is OK.
Let’s continue our Dictador session with the basis rum for the Dictador Cafe. It is basically the same rum, but without the filtration through Arabica coffee. Taste: Again..mokka, coffee and Haribo sweets. Maybe a little less mokka and coffee than the Dictador Cafe, and less creamy; but a bit more on the sweeter side; with very nice fruity tones. In the end accompanied by some subtle tobacco notes. Finish: mediumlong and smooth, coffee, very fine melasses. A bit more punch than the Dictador Cafe. Our score : *** . Yes, I actually like this a bit more than the Cafe version. It’s rather similar in taste, but this one seems to have just that bit more ‘ooomph’ in it. 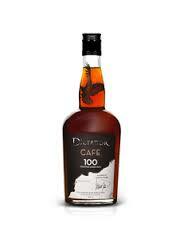 The good people from Dictador rum have launched 4 new rums. Time for The Sugar Cane Collection to taste them for you. Well.. 3 of them anyway. There’s also one with orange peel infuse. Don’t mind me skipping that one, thank you! Nose : molasses, mocha, and a wee whiff of pepper. Charred aroma’s, a bit of burnt wood. Give it some time in the glass, and out come some strong nutty aroma’s. Taste : now the coffee really kicks in. Creamy mokka icecream dominates the palate, leaving just a little room for the more sweet flavours and a subtle nutty taste. Who needs an Irish coffee when you can have this? Maybe a tad too soft for me. I would love to try this at 46 abv. Finish : fades away rather quickly, only the coffee notes manage to linger on just a little bit longer. Our score : ***. Could even have been a bit higher if it had somemore ‘oompf’ – punch that is – and a longer finish.